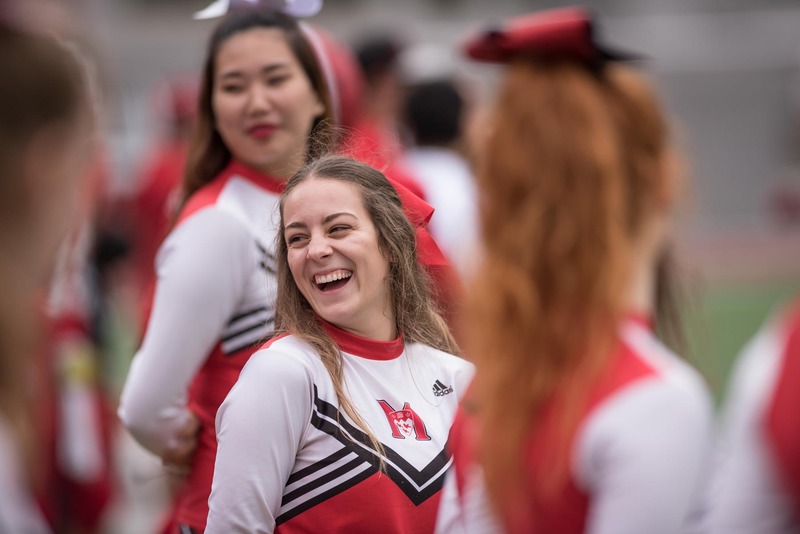 The fervorous crowds and cheerleaders at Molson Stadium for the Oct. 14 homecoming football game couldn’t help the McGill Redmen (1-5) overcome the Concordia Stingers (3-3). 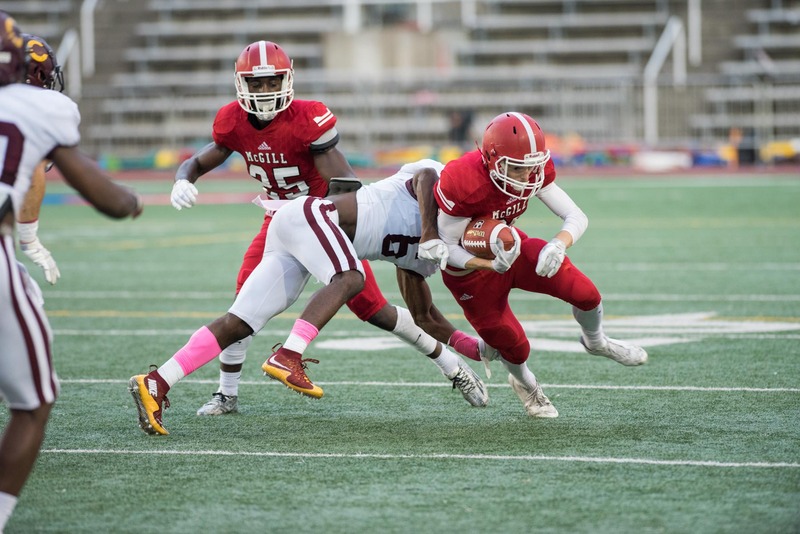 As the clouds eclipsed the only sunlight early in the second quarter, McGill’s momentum fell apart and Concordia ran away with a 36-10 victory. The Redmen got off to a good start but fell behind due in part to poor discipline, committing 18 penalties for 150 yards by the final whistle. 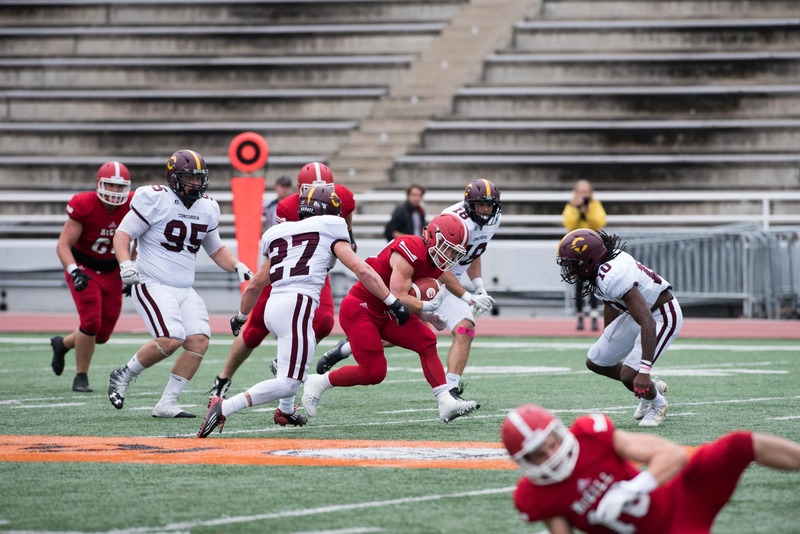 Concordia got its first touchdown just three minutes into the first quarter after a 64-yard pass allowed a Stingers receiver to sprint uncontested into the Redmen endzone. McGill’s difficulty covering wide receivers hurt them in the first half, but the team managed to hold Concordia back in later standoffs. The Redmen had a brief surge of energy at the end of the first quarter and the start of the second, scoring a touchdown and a field goal back-to-back. However, flags nullified two of the Redmen’s touchdowns and killed their momentum, leading to 22 unanswered points by the Stingers. Despite the sting from Concordia, there is still hope for the Redmen to make the playoffs this season. 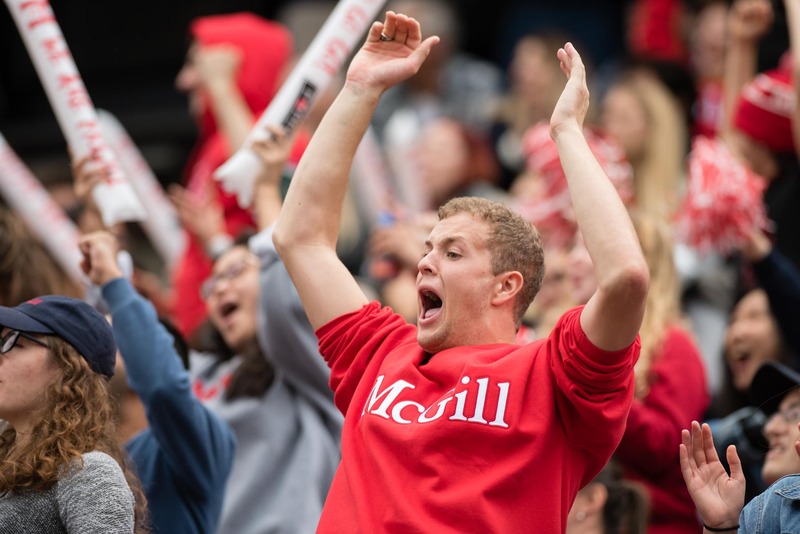 The Oct. 21 home game against The Sherbrooke Vert et Or will decide if McGill will make it to the conference semifinals. 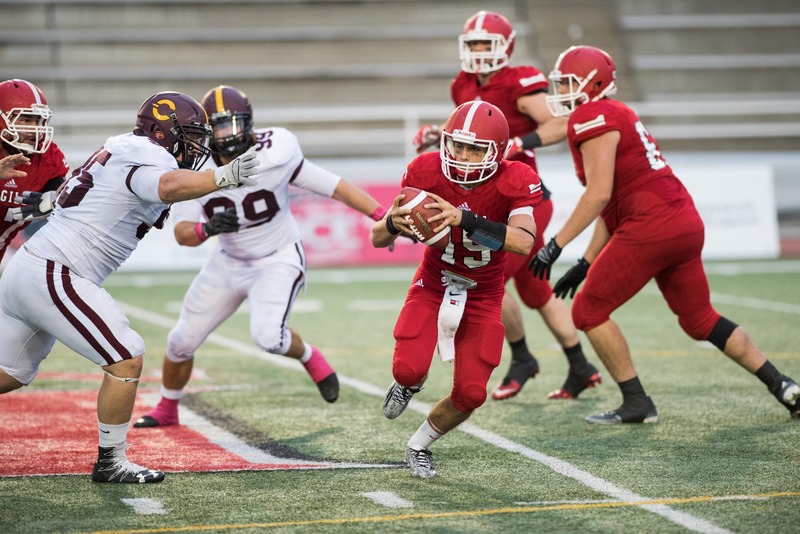 McGill won narrowly against Sherbrooke earlier in the season, but whether or not the Redmen can replicate that success is still up in the air. 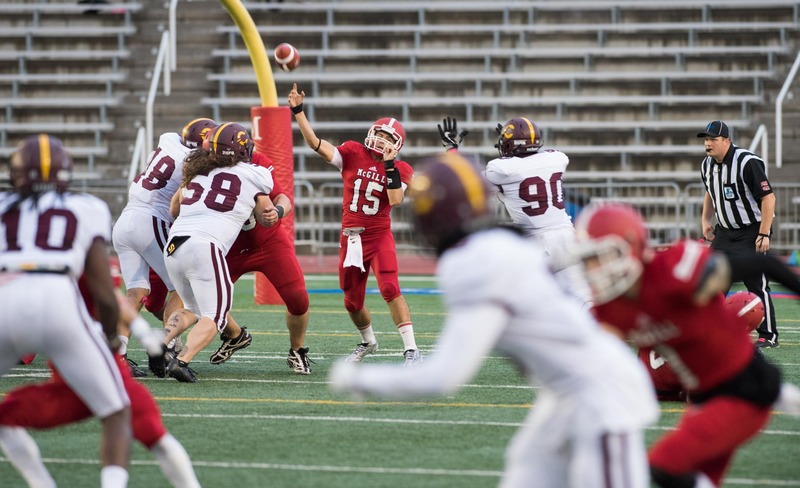 A failed field goal at the end of the first quarter landed in Concordia’s hands, but the Stingers fumbled and Redmen defensive back Vincent Dethier snatched the ball in the endzone for the first and only McGill touchdown of the game. “If we do our thing, we’ll beat anybody in this league” – second-year defensive lineman Andrew Seinet-Spaulding optimistic heading into the next game. 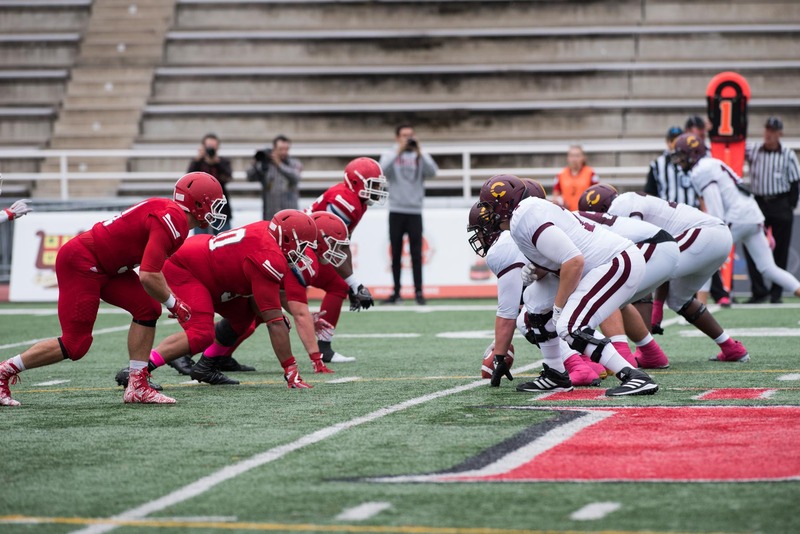 Since joining the RSEQ conference in 2010, the Redmen have yet to win a homecoming game.